The book is detailed and well researched, but not dry or academic. It’s simply a record of a man’s lifelong curiosity and personal lessons. The tone is openhanded—offering thoughts and conclusions, but not demanding they be taken as the last word: “I am just a guy with some ideas which, I think, might be of use in building a framework for the global education which is integral to our global future sooner or later.” This is achieved with wisdom and conviction. While hope for the future is inherent, the book is not prescriptive or instructive; it is simply hearty food for thought with the temperate encouragement to put beliefs into action. The personally reflective nature of the book, which looks across decades, is its most compelling aspect. Meakes offers a detailed look a how a person’s identity and beliefs emanate from the quality and sequence of their life experiences. His confident, critical, sober yet hopeful view of himself and the world is engaging and inviting. With such an expansive view of one man’s life, the feel of each section evolves as the book goes on, showcasing a shifting voice and deepening convictions. The work remains cohesive and easy to follow even during its shifts, thanks to the chronological organization and Meakes’s perspective. History tells us that wars are not an inevitable part of human existence. They are started by humans and can be avoided by humans. Wars destroy societies, ravage people’s lives, and bring aching voids filled with oceans of tears at the deaths of family members. 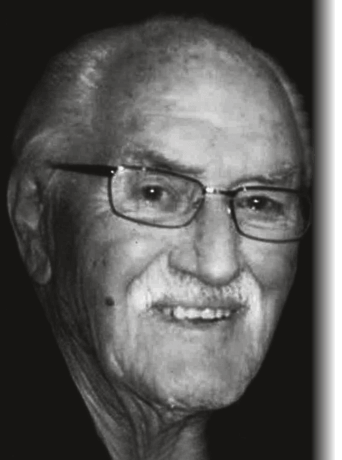 No one knows this more than David Meakes, World War II veteran. Diplomatic avenues, mandatorily explored to their maximum, may resolve differences, thus avoiding conflict. 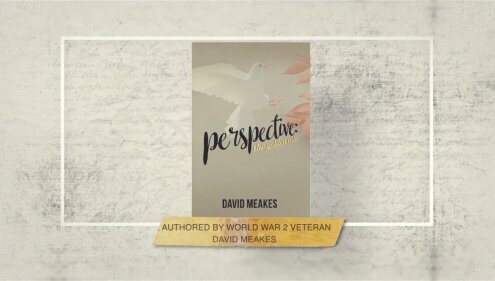 In his book, Perspective: The Golden Rule, Meakes explores the folly of war and the rewards of pursuing peace. This semiautobiographical account takes the reader through a sweeping chronology of the life of David Meakes—from his formative years, through his participation in WWII, and through his subsequent seventy-two years of continuing wars. He describes in detail how his experience influenced his perspectives on politics and world issues. His review of historical events that shaped wars in the past is a scathing commentary on how vicious and cruel is man’s desire for money and power. Meakes concludes with an analysis on how the world can achieve world peace. 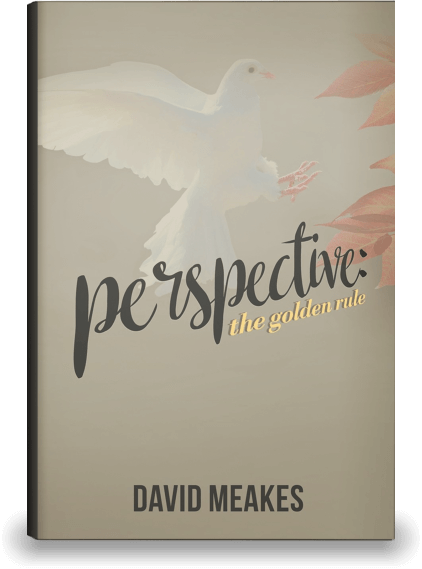 The quest for peace is as elusive as ever, and with Perspective: The Golden Rule, David Meakes adds something new to the conversation. For further information about the book, you may find the News Release here. David Meakes is a Canadian-born World War II veteran. He is ninety-five years old and a retired podiatrist. Meakes has one son and one granddaughter. He’s happily living in Mesa, Arizona, with his wife, Olga. 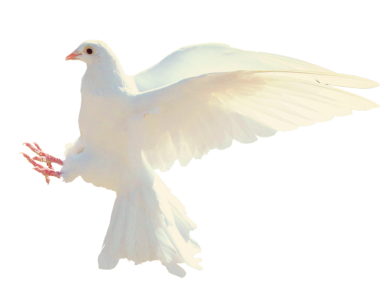 I contend that our security lies not in our strength of arms, but, in the long term, in-our-easy-to-build, co-operative, caring, compassionate society that our international neighbors would admire, trust, and try to emulate. With an open welcoming society, enemies would become friends. The perception by the United States that it should help lead the world to a U. S. based form of democracy was gestated in good will, good intentions, and an altruistic belief that all the world desired the same form of democracy as the U. S. But, in my view, it is a too-impatient policy. Fear can provide the impulse. Fear can provide the spark. The one thing that is certain is that it is from the human mind that the concept of a new protective deity, or god, or religion, first emerged. Hi! If you have any concerns or you just want to share something, please feel free to contact me. I would love to hear anything from you.